MailChimp, the world largest email service provider lets you create, share, and track email campaigns. Its flexible templates and drag and drop design interface make it easy to create a beautiful, professional template that can be used over and over again. If you have a WooCommerce store and combine it with MailChimp, you increase the power of both tools in many ways. The integration syncs your customers’ purchasing data making it easy to send targeted email campaigns. Without the integration, you just have a mine of untapped data that doesn’t make much sense because it doesn’t have the proper context. But with the integration, you can tap into this data and see it translated to something you can actually use. 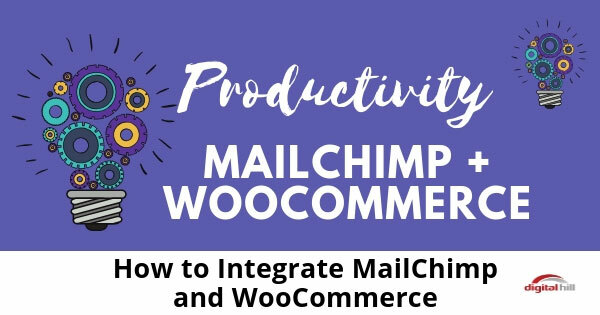 Given the many pros of integrating MailChimp with WooCommerce, you’re probably ready to do it now! However, before jumping in, take note that there are several plugins to assist you with this. Plugins are in order of customer satisfaction. This plugin is built and managed by Codecanyon. It has excellent reviews and a lot of very happy users. It looks like it’s being actively updated and support is actively managed. Saint Systems manages and built this plugin. It has a good rating in the WordPress plugin directory. But lately, requests for support are not being answered in a timely fashion. Yithemes built and manages support for this plugin. It has good ratings but looks like support isn’t consistent. Manage MailChimp inside your WooCommerce dashboard. Built and managed by MailChimp. Even though it’s the plugin with the most features this plugin has the lowest rating of all the MailChimp/WooCommerce integration options. So create a brand new API when integrating this plugin for the most success. You can also use a software bridge like Zapier to flow your WooCommerce purchasers to MailChimp. So the question is, which one should you use? Some plugins are more expensive than others. Other plugins have better customer support. Some plugins are easier to configure and some give you easy form styling. You may need a certain feature and not another, so choosing a plugin based on what it can specifically do for you is wise. Of course, if there’s a free trial, go for that before making a commitment to any plugin. The plugin has to give you the feature you need and you can see that with hands-on experience using a plugin. But whichever plugin you go for, you’re definitely taking the right step with integrating MailChimp and WooCommerce for your WordPress e-commerce website.